New Interiors, originally uploaded by Snook Photograph. The living space is very fit with condo interior due to the limited of space. 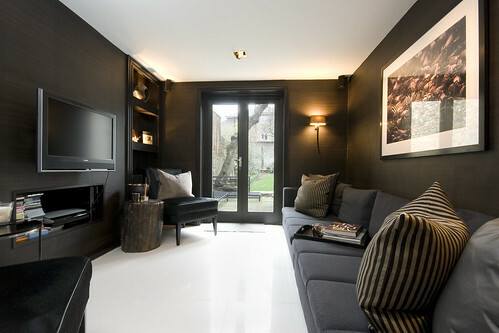 The dark color with some spot of light makes the room more luxurious. Looks like an incredible place to be. Very cool modern condo for me, and beautiful. I like that idea! I am sure it is more better if I will try this one. Thanks for sharing. I've got an idea.